For our toddlers, heaven is glueing things to paper & things like paper plates. 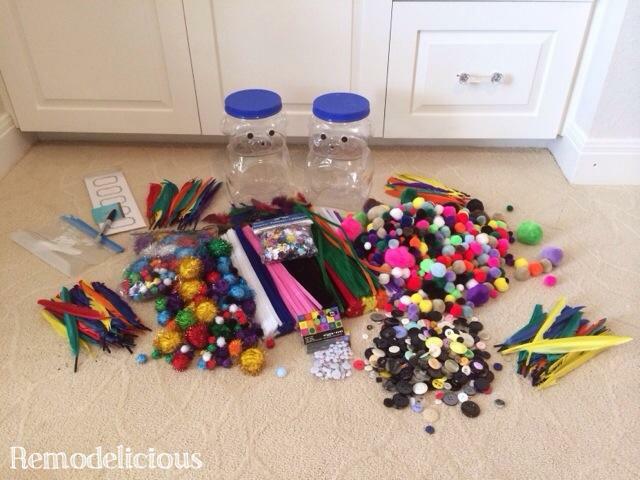 As a Christmas gift, I made them craft kits from generic items available at any craft store and most dollar stores. 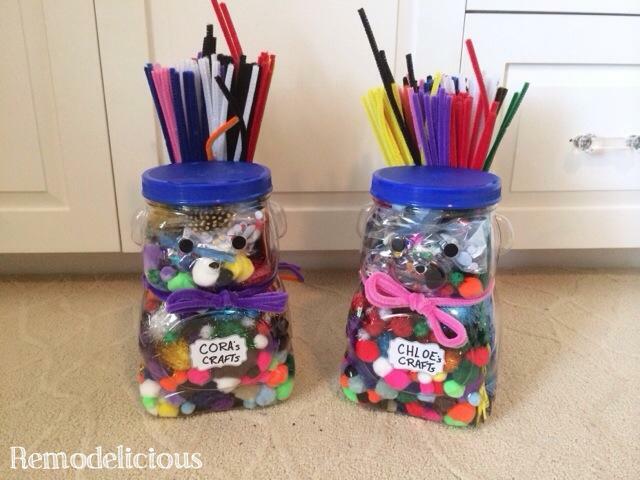 It can be adapted for older kiddos as well, with colored pencils, acrylic paints, paint brushes, etc. 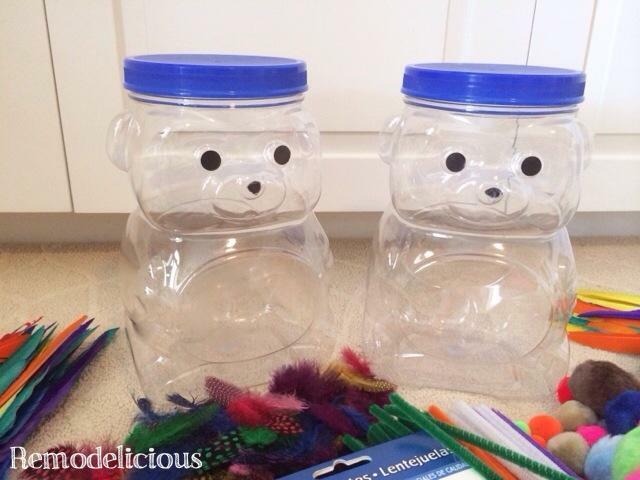 I used 2 bear containers from Target’s Market Pantry snacks. These had the chocolate alphabet crackers in them – our girls love them. Chloe, the natural organizer, even sorts them into numbers and letters before eating them. I pealed the labels off as best I could and used goof-off to coax the rest of the residue off. 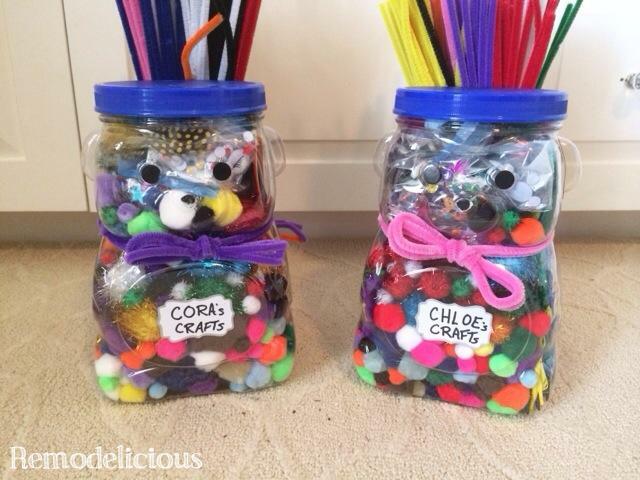 I split piles of feathers, poufs, pipe cleaners, craft buttons, and goggly eyes into the bears. The pipe cleaners were too long, so I used some to make bow ties that hold the rest on the bears backs. I took some left over labels and made quick little labels. The girls know their names by sight and we generally color-code everything with pink for Chloe & purple for Cora so they can easily tell their craft kits apart. These should be perfect for quiet time when the girls do independent play for mommy’s sanity. It only took a few minutes and should last for hours of entertainment.